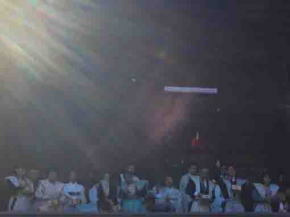 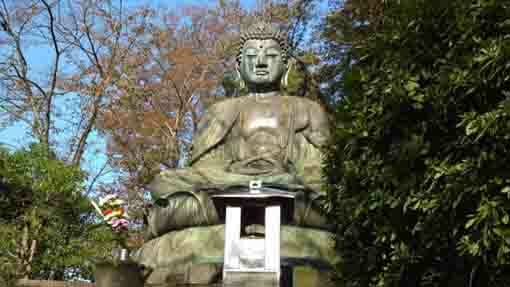 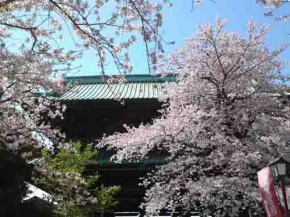 Higan-no-Segaki-e, the letters means hungry ghosts' feeding ritesthe in vernal equinox, it is a title of a Buddhist mass. 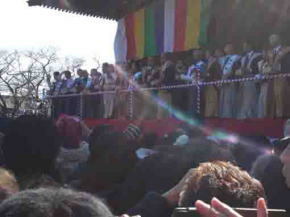 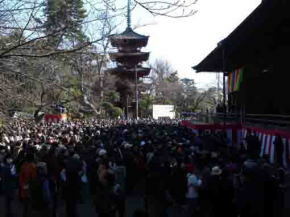 Senbu-ka: the event the buddhism priests read 1000 scripts together for bless is called. 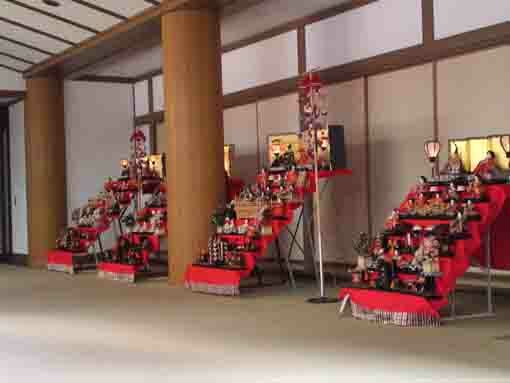 Obon-Segaki-e, Obon celebrates returning ancestral spirits, and the letters Segaki means hungry ghosts' feeding rites, it is a title of a Buddhist mass in July 13-16 (the Edo area special, generally in the local area, Obon is August 13 - 16). 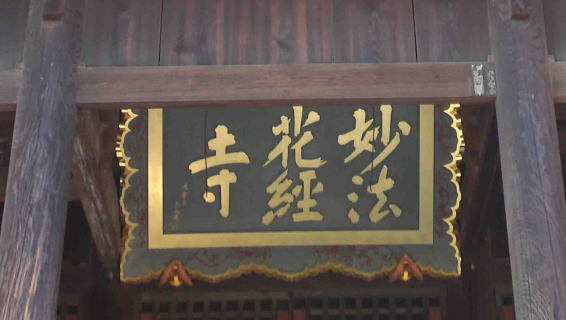 Higan-no-Segaki-e, the letters means hungry ghosts' feeding ritesthe in auturmnal equinox, it is a title of a Buddhist mass. 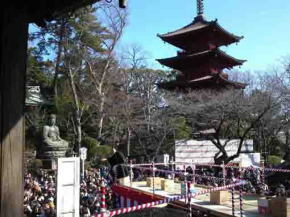 The Setsubun as it called the Star Festival at Nakayama Hokekyo-ji Temple is very unique, so the people throwing beans are Toshi-otoko, Thoshi-onna, the guests of celebrities, the priests working at and the preiests practicing the 100 days asceticism in cold season, so the events might give people much happiness. 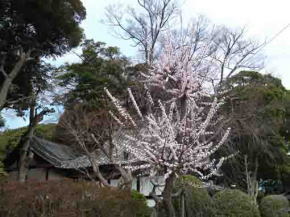 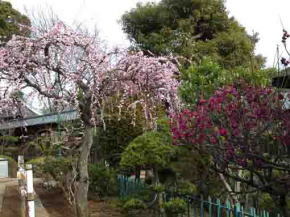 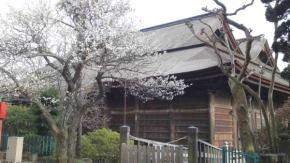 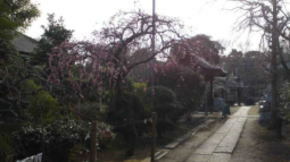 There are some plum trees on a small hill behind Soshi-do, the plum blossoms are blooming around Hokke-do, Ugajin-do and Yonsoku-mon. 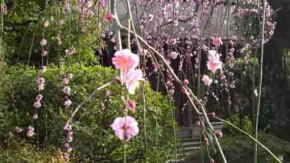 The blossoms on the drooping plum trees are very beautiful on their pale pink petals. 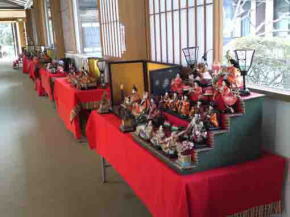 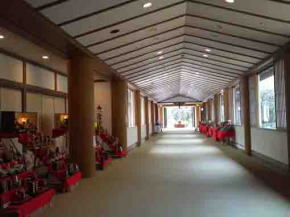 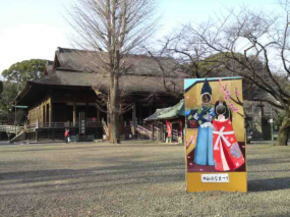 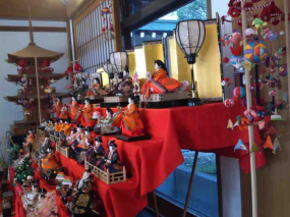 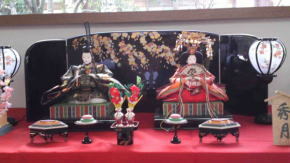 There are many Hina-dolls displayed on the corridor connecting the main building and Kishibojin-do. 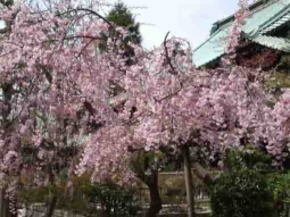 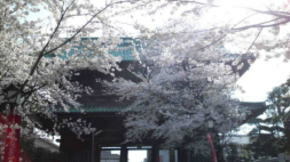 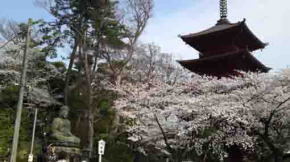 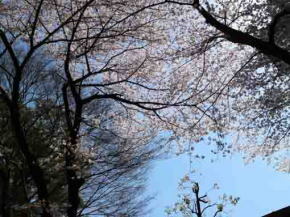 There are about 200 cherry trees in the site of Hokekyo-ji Temple and millions of cherry blossoms bloom from the end of March every year. 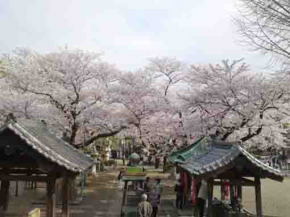 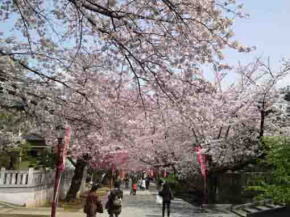 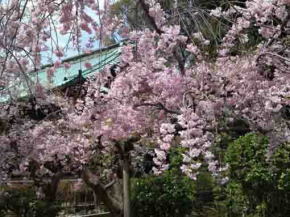 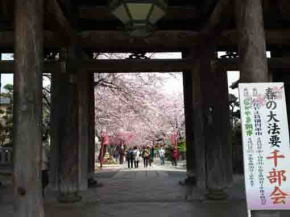 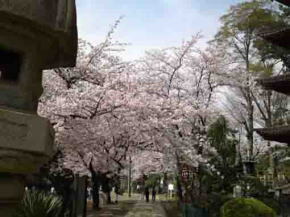 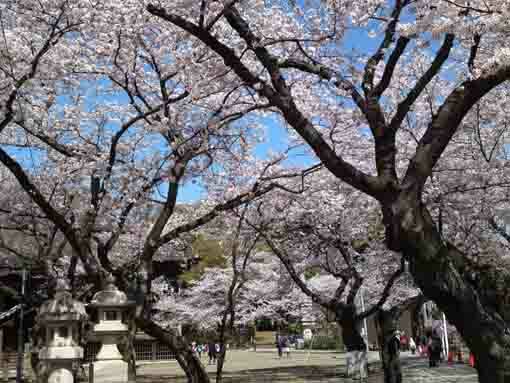 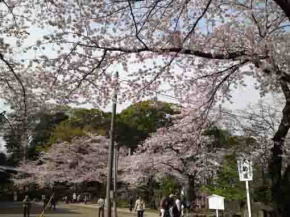 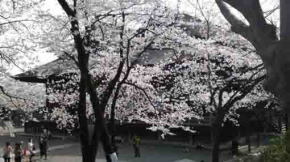 Passing through the Niomon gate, the cherry trees with the cherry blossoms look like a tunnel of them. 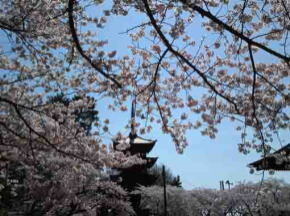 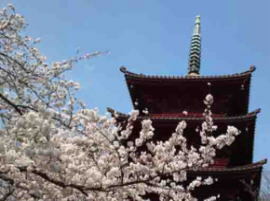 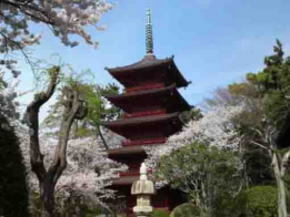 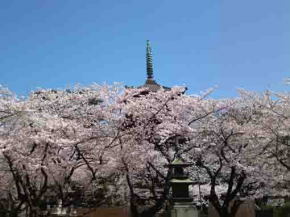 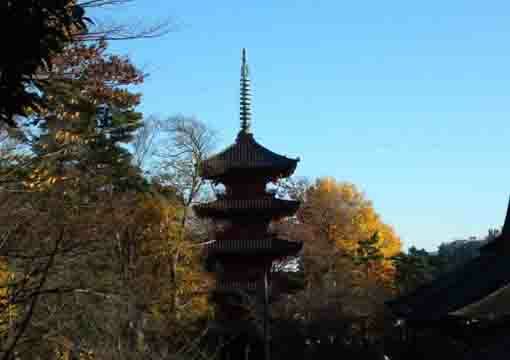 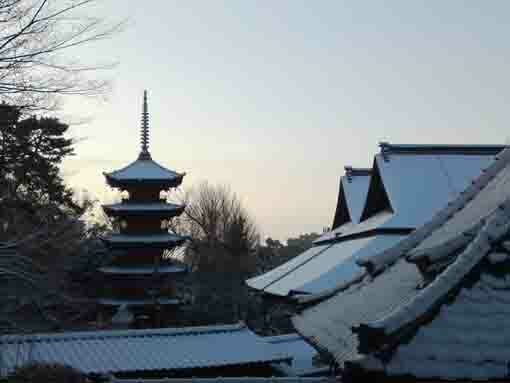 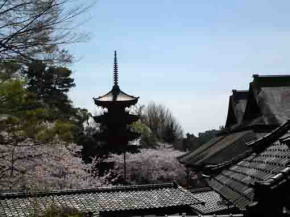 The five story pagoda, Gojyu-no-to looks above the pale pink cloud made of the cherry blossoms. 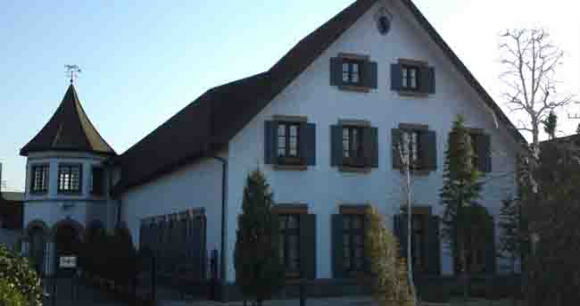 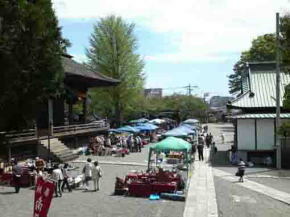 Thousands of visitors come during the season. 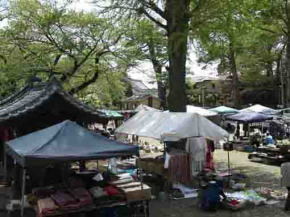 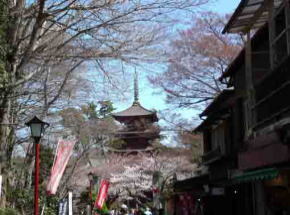 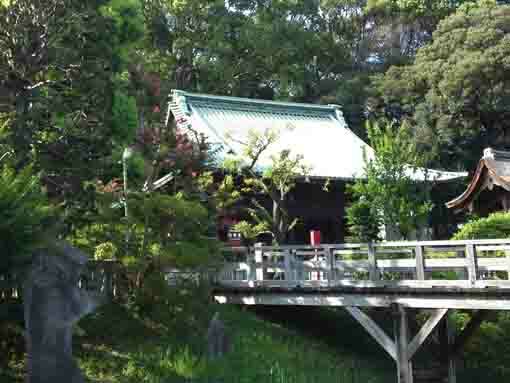 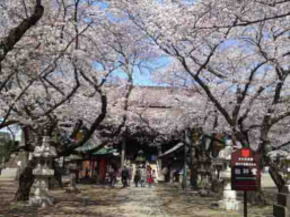 The antique market is held in Hokekyo-ji every year in mid-April. 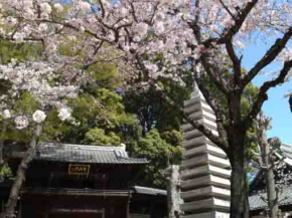 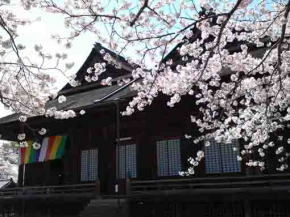 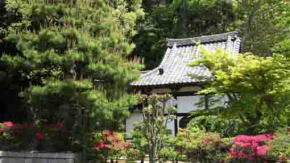 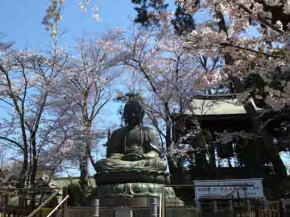 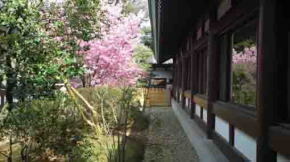 There are several kinds of flowers blooming in Hokekyo-ji Temple, so many people enjoy taking a walk and viewing the trees and flowers in the temple every seasons.After blooming cherry blossoms, satukis and azaleas start blooming, beside the statue of Nichijo the first chief abbot, a wistaria-trellis stands, and some penies blooms around them. 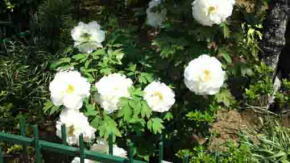 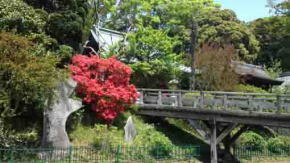 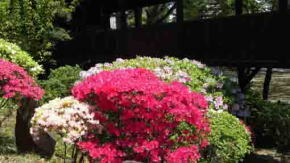 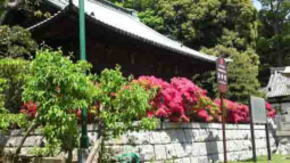 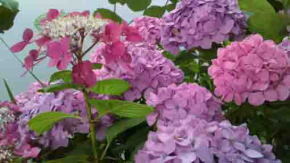 The satukis and azaleas are blooming excitingly beautifully along the ston steps to Ugajin-so. 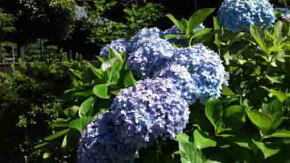 Ryuoike, named the dragon king's pond had rebuilt about ten yeas ago, now some Japanese hydrangeas bloom on the edg of the pond. 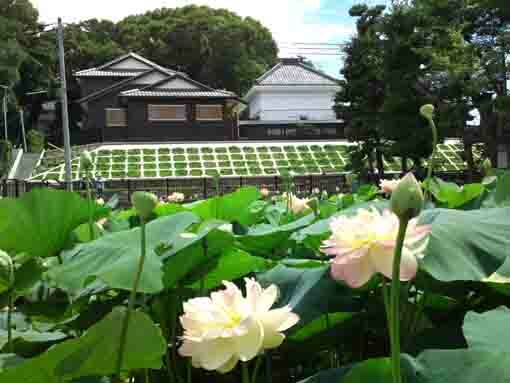 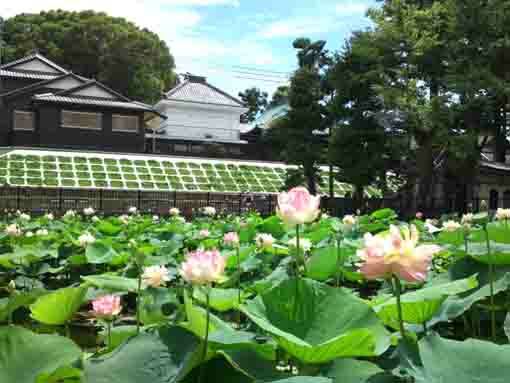 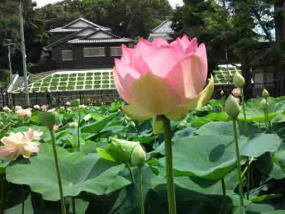 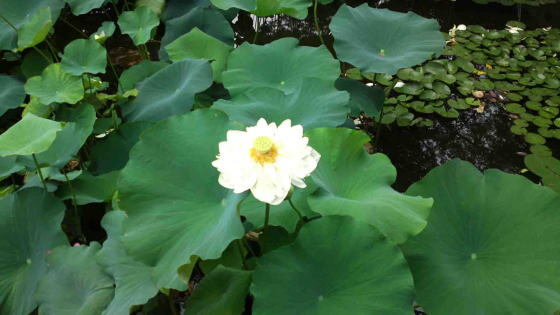 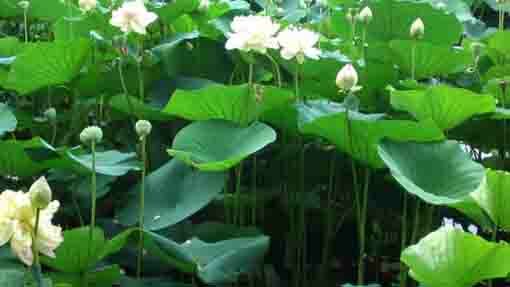 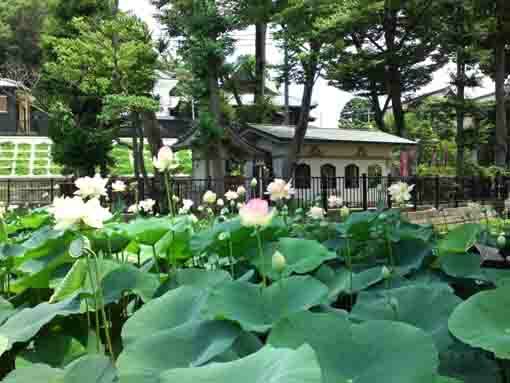 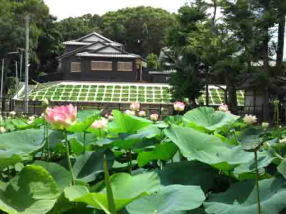 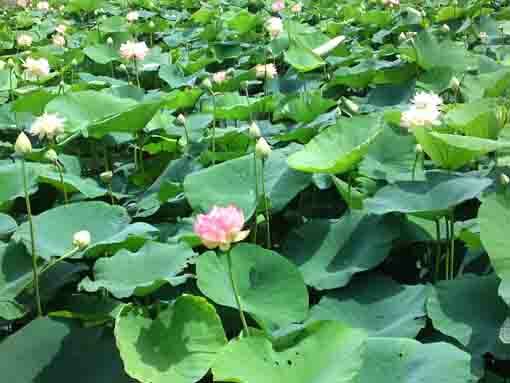 Ryuoike, the drangon king pond where Hachidai-ryuo-do stands in has hundreds of lotus flowers blooming from mid-July to mid-August. 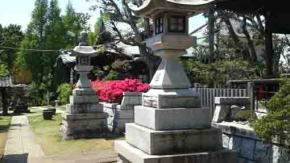 They blow some cool winds to make refresh. 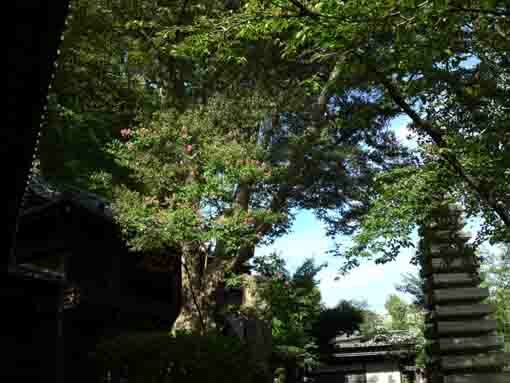 A crape myrtle tree is called Sarusuberi in Japanese since its skin is too smooth for monkeys to climb. 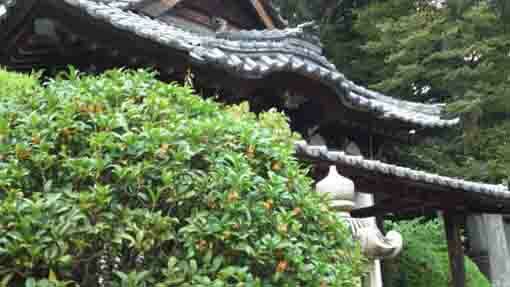 Saru means Monkey and suberi means Slipping. 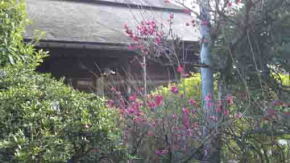 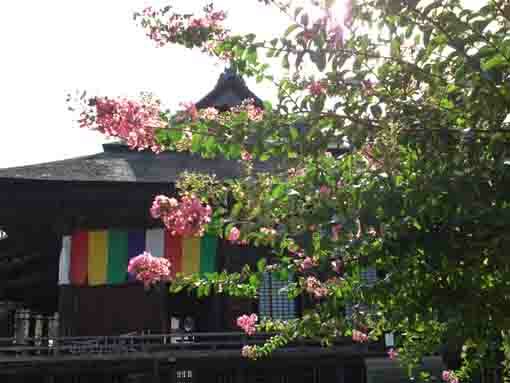 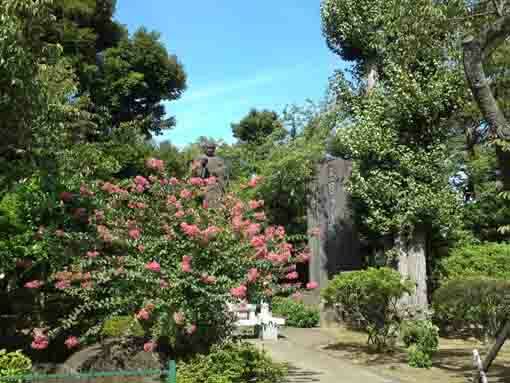 Anyway, crape myrtle blossoms bloom on beside the statue of the venerable Nichijo, Hodenmon Gate, Yonkyakumon Gate in Hokekyoji Temple. 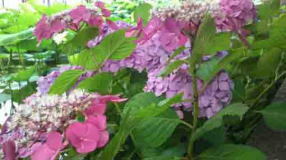 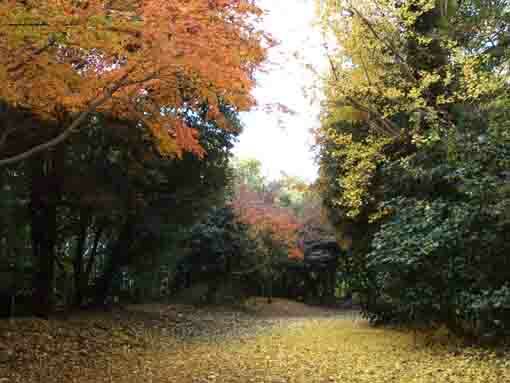 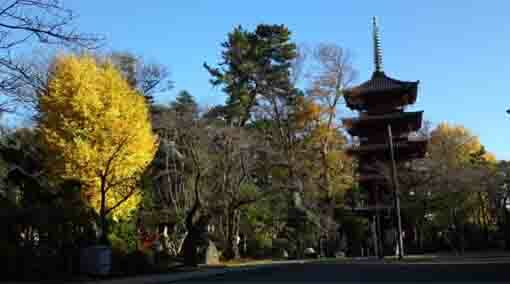 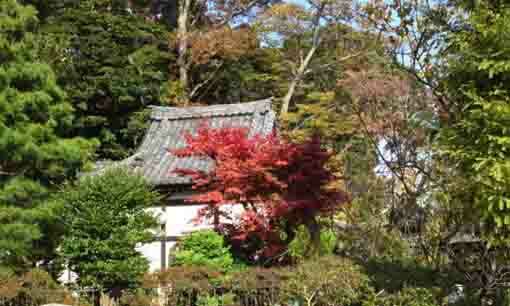 Some autumn flowers bloom quietly in Hokekyo-ji in fall. 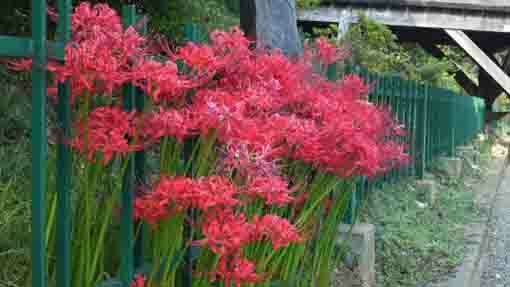 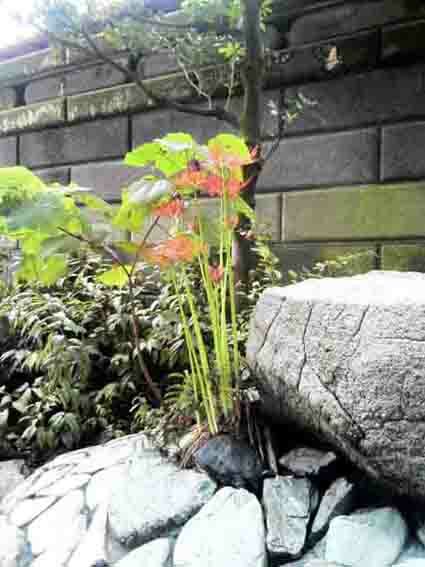 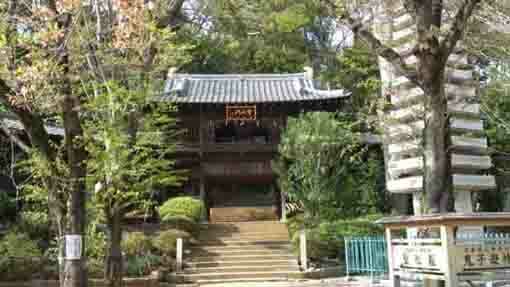 Red spider lilies bloom under Nio-mon gate and the stone steps to Setsu-do. 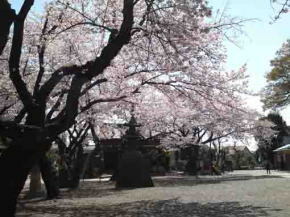 Winds carried sweet smell of fragrant olives around Ugajin-do. 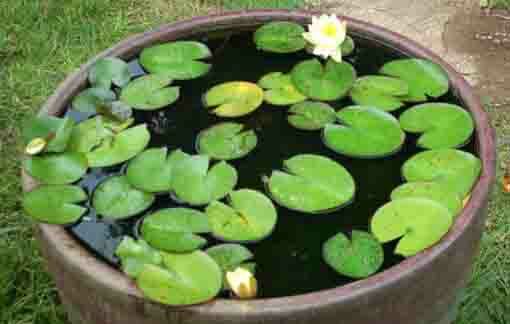 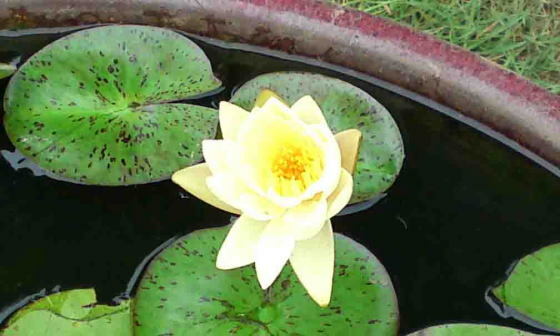 There are some jars where water lilies float. 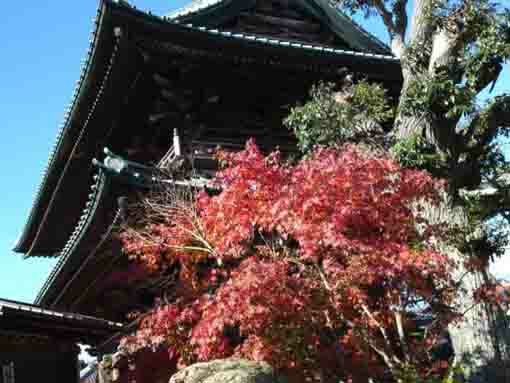 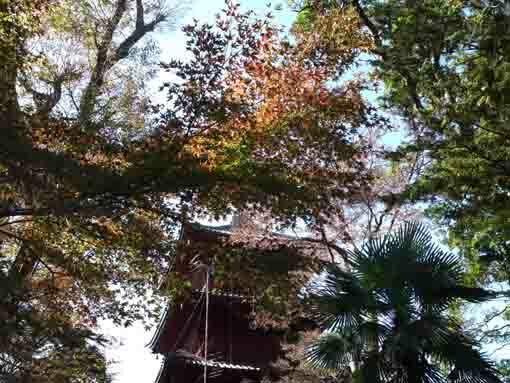 In fall, the cherry leaves turning crimson is the beginning, then ginkgo trees change flash yellow figures, and crimson maple leaves decolate the views in Hokekyo-ji. 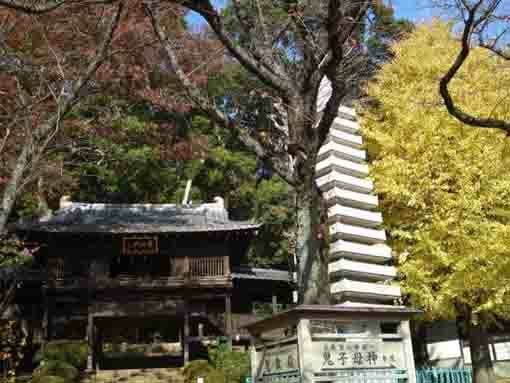 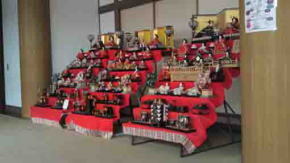 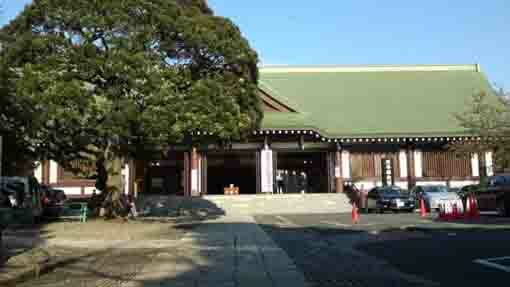 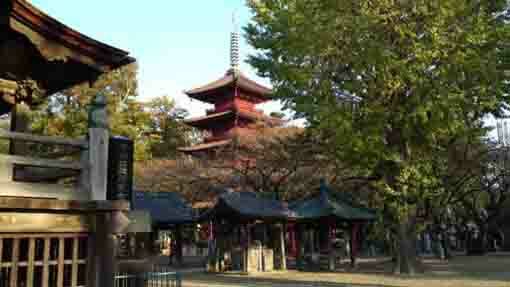 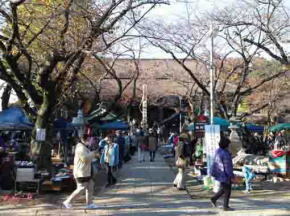 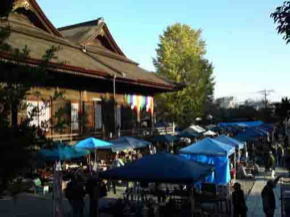 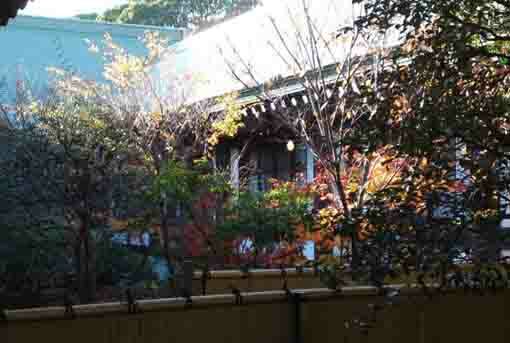 The antique market is held in Hokekyo-ji every year in mid-November.